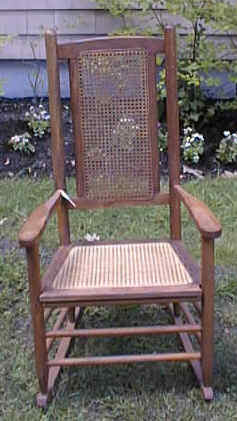 Steve's Chair Caning Service;Full service antique chair caning:All types of antique caned chairs for sale as well as rush ladder back chairs, hitchcock chairs, porch rockers, splint chairs and shaker type chairs. 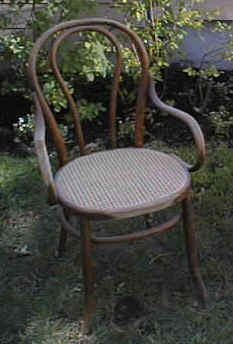 Danish cord and seagrass chiars sometimes available. 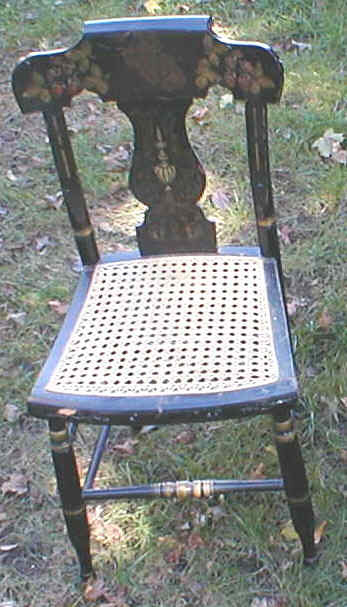 Beautiful press cane "ice cream" chairs (Thornet?). 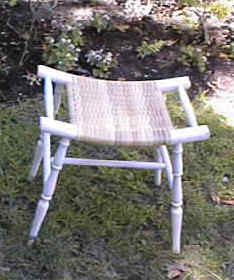 New press cane seats. Over all good condition. 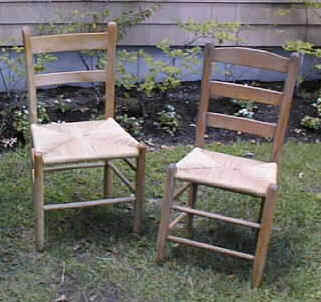 Set of two identical chairs.